Saudi Arabian Crown Prince Mohammed bin Salman delivered a harsh rebuke to Iranian Supreme Leader Ayatollah Khamenei Monday. "He believes he owns the world. They are both evil guys. He is the Hitler of the Middle East. In the 1920s and 1930s, no one saw Hitler as a danger. Only a few people. Until it happened. We don’t want to see what happened in Europe happen in the Middle East. We want to stop this through political moves, economic moves, intelligence moves. We want to avoid war," he said. 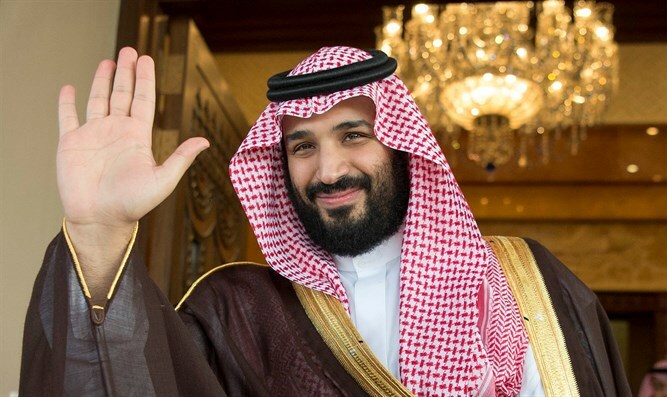 He stated that Saudi Arabia does not have any problem with Jews, and that "the are a lot of interests we share with Israel." He predicted that Saudi Arabia and the rest of the Sunni Arab world would form open economic ties with Israel if peace would be achieved with the Palestinian Authority. 'You will find a lot of Jews in Saudi Arabia coming from America, coming from Europe. There are no problems between Christian and Muslims and Jews. We have problems like you would find anywhere in the world, among some people. But the normal sort of problems." The prince's comments illustrate a shift in perceptions of Israel in the Arab world, which for decades has largely refused to recognize Israel's right to exist.